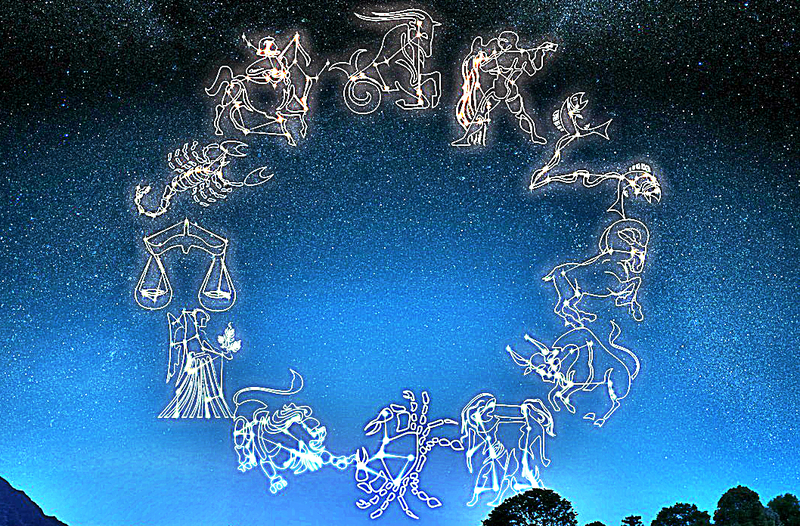 A horoscope is an astrological chart or diagram representing the positions of the Sun, Moon, planets, astrological aspects and sensitive angles at the time of an event, such as the moment of a person’s birth. What is in store for all of us this September? September is all about new beginnings, implementing new habits and expanding in a way that is creative, healthy and beautiful. Combining this with the current energy waves and the deep soul introspection we went through we get a month perfect for finally starting to do what makes us happy! Great time for the work and health sector. Actually some of you might have the chance to have a pre-retirement while, the rest could experience career advancements or redefining their role within a work structure. If there have been health problems, this is the time to find the proper care that improves the physical state. However, remember that the best medicine is to stop making war. You will overcome your inner limits, thanks to the ability to look and search in different directions from the past. Once you’ve passed the limits you’ve lived with for a lifetime, is the time to start living for the things that you really love. There’s something sparkling in the air that drives you to fall in love. You will discover the beauty of love, not just on the physical plane that will probably appear during this month, but also in love for life, for things you do every day. Finally in the morning you will wake up smiling! You may want to dedicate yourself to the passions you’ve always had and make them an important part of your habits. It will be a highly creative month, even from a biological point of view: paternity and maternity on the horizon. Do you think about changing your home or transforming the interior of your home? It is not just a matter of practice but it is the manifestation of an inner change that you are experiencing. According to Feng Shui, changing the interior of your home is like changing your inner dynamics. You are strengthening and stabilizing; You are slowing down your pace, so that you can dedicate yourself to what is most passionate to you. The family is at the center of everything and the origins become important. You will understand that you are now the pillars of your family. Is the family expanding? Possible movements. The month of cleaning, cuts, selection in the relational field thanks to a rediscovered willpower and desire for affirmation that allows you to face every situation with determination. Friends are seen at the time of need and you, who have now passed the toughest tests, know who you can trust or not. A firmness that leads you to establish and defend the boundaries, make you way, fight and conquer. In this month you will learn to fight only for what is really worth it, without falling into the thousand provocations. The positive period continues, thanks to the transit of the moon until 6 September and at the entrance of the Venus that from the end of August gives you energy and beauty. You will thus develop strength and charm in all aspects of life. It will be especially a good time for work and finance, which will be paid off after spending the summer holidays. Thanks to this sky, you will have the right strength to be what you have chosen to be. Full speed ahead! No one stops you anymore. During the month, you will understand that true strength comes from the heart, from within and expresses through your vocation, your talents, the work you do. You will feel satisfied, complete, without perceiving anymore, the inner division of so many maladies. The right (feminine) and the left (masculine) part of the brain are recognized and finally decide to cooperate by ceasing to compete with one another. The benefit that comes from it will manifest itself in every area of your life: in your profession, sentimental relationships, family relationships, and friendship. Jupiter is about to get out of your mark and will be revisited in twelve years. Therefore, this will be an evaluation period, in which you will evaluate the results obtained and what you have achieved or not; you will be aware of all the experiences you have endured in these months and you will act according to what your new priorities are now. These are, in my opinion, the most important periods because they allow you to share, understand the journey you are doing, allowing you to change and start a new adventure. Joy awaits you. You will be more responsive to the situations that until recently have caused you problems and feelings of guilt. This new, more mature attitude allows you to finally be free; free from those inner chains that bind you to painful situations of the past but now, you understand that it is no longer the case to keep up with them. “Yesterday is history, tomorrow is a mystery but today is a gift. That’s why it’s called present”. September will be a preparatory month for a new and definitive start when Jupiter will enter your sign in October, giving you all the joy of living. Here is a very interesting time because you will finally be able to live the realization. The projects started some time ago, will now find their expression and begin to materialize. Finally you will be aware of how your decisions have been made even those that initially seemed painful and difficult. Effect of a radical change of your point of view, which more than the mental concern the emotional part. Your approach to life has changed, you are more available, ready to love as you have never done. Finally you see the end of the tunnel but to get there you have to advance with the strength of love. A profound metamorphosis and inner regeneration will make you reborn and become new, almost unrecognizable to other people as you will change in attitude. It is great to see you, not angry, but sunny and in peace with yourself. You will stop expressing your disappointment with that aggressive attitude and sometimes a little “snobish” against what you feel unfair. You will be more tolerant and you will accept the situations that you do not like anymore but that, however, must be respected. You’ve taken the road of change and now, you can’t turn back. The relationship takes a new direction. Someone may decide to cut off one that has lasted a long time and has proven in the last few days, not to be important. A cycle is over and you finally realize it. You will be driven to look for other ways, other emotions, even faced with the fear of hurting someone with your decisions. However, you will find greater satisfaction in carrying out activities (work, dancing, doing sports, etc.) with little focus on relationship is true, but which nevertheless allow you to live more easily.